My youngest daughter has been envious of her older sister’s assortment of blankets. People have given Helena many blankets over the years. 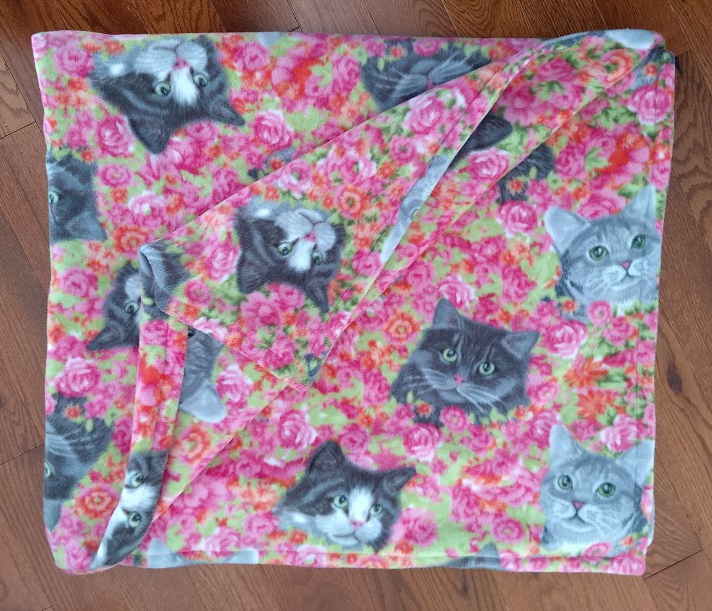 This year, for Carys’s birthday, I made her a kitty snuggle blanket. 3 yards fleece from JoAnn Fabrics. Folded it in half inside out and sewed 3 sides (like a bag). Turned right side out, and tucked top edges inside, and then sewed a straight stitch about an inch around the entire blanket. Fast and snuggly! My youngest daughter turned 7 this year. We held her birthday party at the local aquarium. 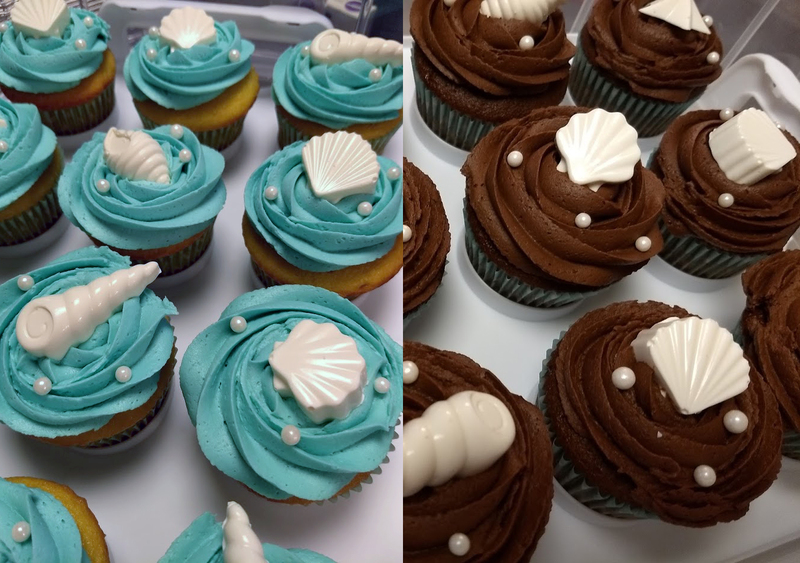 I made these ocean themed cupcakes for the occasion. Candy mold came from Michael’s. White candy melts and candy “pearls” came from AC Moore. Last year before she’s a TEENAGER!